BallyCara HomeCare is subsidised by the Commonwealth Government to provide entry level support services through the Commonwealth Home Support Program (CHSP). The Program is provided to people who require assistance to keep living independently in their own home and community. BallyCara HomeCare delivers services under a Wellness approach. This means that you can expect us to work with your strengths and abilities rather than your limitations. We will identify what your individual goals are and through our SONA philosophy (Gaelic for Happiness) we will Embrace your individuality, Enhance your outcomes and enable you to Prosper in our caring relationship. To be eligible for CHSP services you require an assessment by the Regional Assessment Service (RAS) which can be arranged by contacting My Aged Care on 1800 200 422. What is the difference between a CHSP and Home Care Package? The Commonwealth Home Support Program is designed for people who require a low level of assistance and support to maintain their independence and stay living in their own home. If people are finding their care needs and support requirements are increasing they can then be referred for a HomeCare Package by contacting My Aged Care or speaking with a BallyCara Support Advisor. How can BallyCara assist you with applying for a Commonwealth Home Support Program? If you have been approved for a Commonwealth Home Support Program and need assistance our BallyCara staff will ensure any questions or requirements you may have are answered. Our Staff at BallyCara are happy to guide you through the step-by-step journey of how to apply for a Commonwealth Home Support Program and answer any questions that you may have. There is a small co-payment on all BallyCara CHSP services however please speak with your Support Advisor if you are experiencing financial hardship. 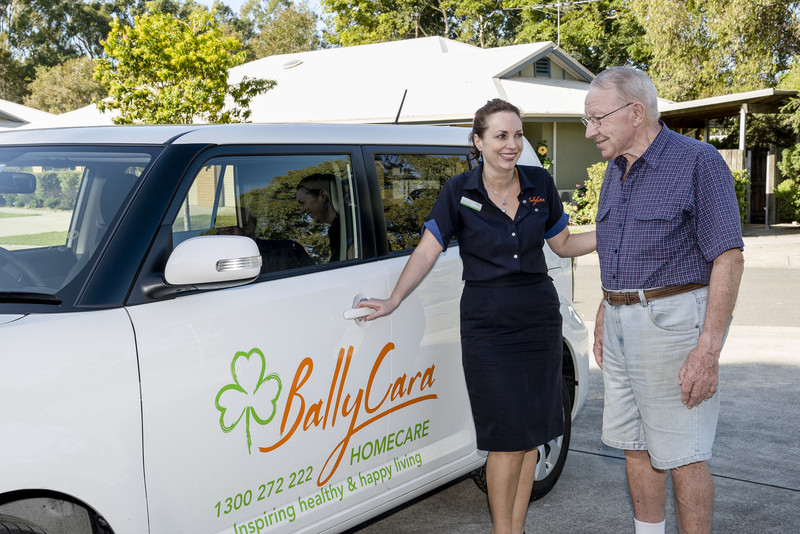 For more information about BallyCara Home Care phone 1300 272 222 or click here to email.